Each year scores of kids ages 3 and younger are treated in hospital ERs for toy-related injuries such as choking. That’s why you should always buy age-appropriate toys for your little ones. 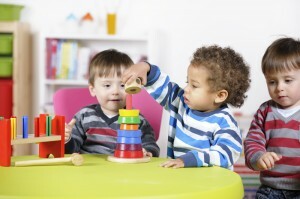 The U.S. Consumer Product Safety Commission (CPSC) closely monitors and regulates toys. Any toys made after 1995 must comply with CPSC standards. Crayons and paints should say ASTM D-4236 on the package, which means they’ve been evaluated by the American Society for Testing and Materials. Another thing to keep in mind is the noise level of the toy. Some rattles, squeak toys, musical and electronic toys can be as loud as a car horn – even louder if a child holds it directly to his ears. If you have to shout to be heard 3 feet away, the noise could be damaging your child’s hearing. You should also consider your child’s temperament, habits and behavior when buying a new toy, and use your best judgment. “You may think your child can handle toys that are meant for older kids, but the age levels for toys are determined by safety factors, not intelligence or maturity,” Pardi said. Make sure toys are large enough so your child can’t swallow them or get them lodged in her windpipe. A good way to measure this is with a toilet paper roll. If you can fit the object inside the roll, it’s too small. Make sure battery-operated toys have battery cases that secure with screws so your child can’t pry them open. Make sure the toy is unbreakable and strong enough to withstand chewing. Don’t buy toys that have sharp ends or small parts like eyes, wheels or buttons that can be pulled loose. 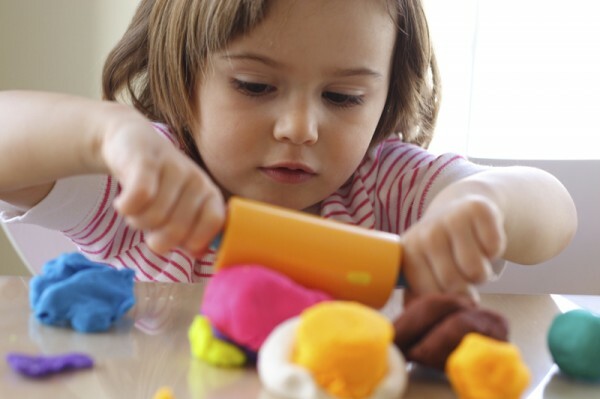 Avoid toys with parts that could become pinch points for small fingers. Follow the manufacturer’s recommendations for riding toys. Also make sure rocking horses and wagons come with safety harnesses or straps and are stable and secure enough to prevent tipping. Are children entering puberty sooner?